Kuching, MALAYSIA—Jasmin, Jana and I are in the island of Borneo. If you visit Google Maps, you’ll notice that this huge land mass is close to Palawan—but it doesn’t belong to the Philippines; instead, Borneo is subdivided by three nations: Indonesia to the south, tiny Brunei in the middle, and Malaysia on the northeast. Kuching City is the capital of the State of Sarawak in Malaysia. Comparing the geographies of the two, Kuching has a bigger land area (431 sq. kms.) versus Cebu City’s 315. Population-wise, we’re about even with one million residents. We arrived in Kuching two afternoons ago, flying via Tiger Airways from Singapore. 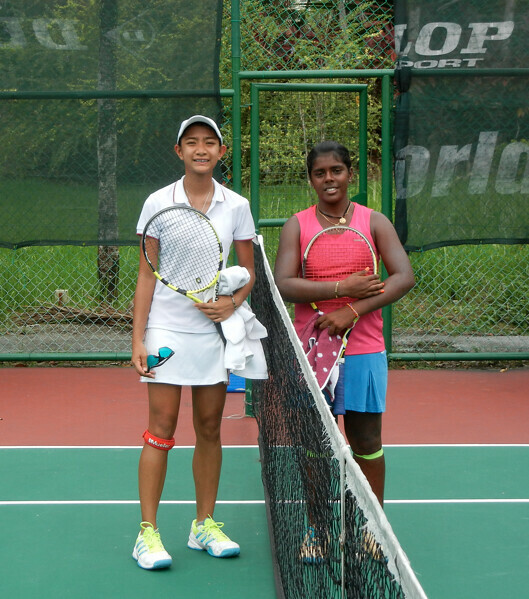 My daughter Jana, who’s 13, is joining the Asian Tennis Federation (ATF) Under-14 Championships. In her first match yesterday, she faced the tournament’s 3rd seed, a seasoned player from India, Kaaviya Balasubramaniam, who’s ranked 27th in Asia based on the ATF points. In the first set, Jana raced to a 4-2 lead before her opponent won 5 of the next 6 games. In Set Two, it was another close fight before Kaaviya won the match, 7-5, 6-4. The match was both hotly-contested and hot. Hotly-contested because the exchanges and games were close; a few points here or there could have swung the favor for Jana. Despite the loss, it was a good first-ever-international match for Jana. The atmosphere and venues are completely different from Davao or Manila. 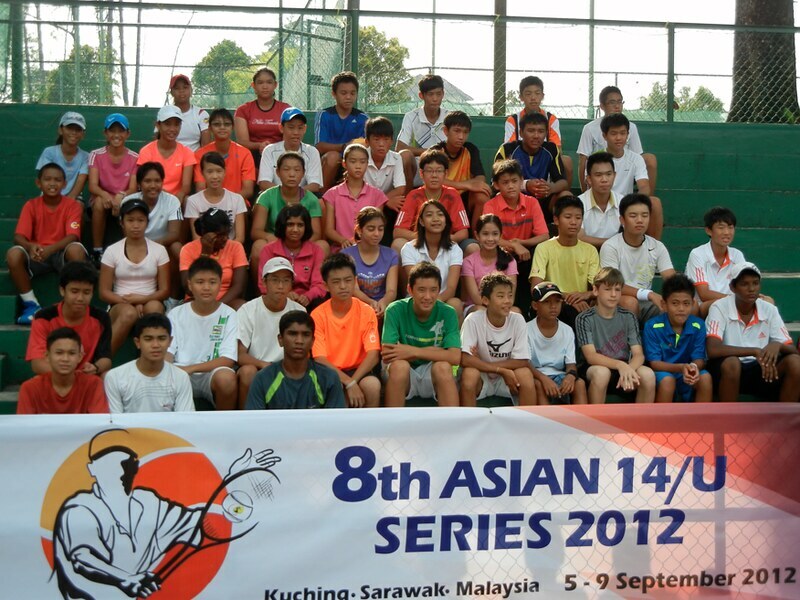 The venue is the 12-hard-court Sarawak Lawn Tennis Association Tennis Centre (SLTA), right at the center of town. Arthur Craig “Iggy” Pantino, only 11 but playing in the U14, fought hard but lost to a much older and more experienced player. The score: 6-4, 6-4. Iggy is accompanied here by his mom, Lourdes. 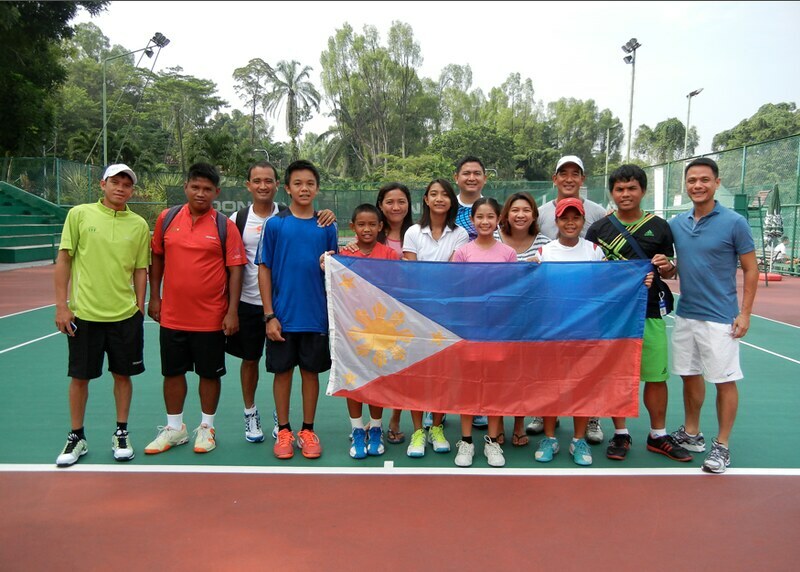 The Sarawak Tennis Centre has three Cebuano coaches here now: Ariel Logroño, Brian Kintanar and Francis Largo. It was good seeing Ariel, a friend I’ve known since the Sancase Tennis Club days. What’s good with this tournament is that it’s not a knock-out system. It’s a round-robin format where all players are guaranteed five matches in five days. That’s good! Imagine traveling this far and losing in the first round. This is terrific exposure for the young athletes. The president of the Sarawak Tennis Centre is Dato Patrick Liew. We met him the past couple of days and, apart from being super-friendly, he’s a top businessman and sportsman. And, in two years’ time, he’ll run for mayor of Kuching. Enough of tennis… We’re staying on the 15th floor of the Merdeka Palace Hotel, a giant edifice overlooking the city. We’re together with Randy Villanueva, one of the top officials of the Philippine Tennis Association, who brought along his daughter Rafa (who won her first match yesterday in a three-hour thriller). The food here in Kuching is splendid. Randy brought us to Top Spot, on the 6th floor of a building where fresh seafood abound. It’s like our Sutokil (of Lapu-Lapu City), only cleaner and more organized. We had buttered prawns, calamares, a big fish that resembled our pampano, spicy vegetables (that’s unique to this place) and talaba (oyster) that’s prepared on a crunchy, Kropek-like edible plate. Even the tennis court canteen food is excellent. We ordered two versions (dry and wet) of their Pad Thai (though they call it by a different name).